YouTube’s biggest star does read his YouTube comments. Surprising absolutely no one, the comments can get pretty terrible. Especially recently. How rude people are when they suggest he should change his appearance. The accusation that he only makes short YouTube videos because he’s in it for the money (actually, his biggest earner recently was a long video). Here, Pewdiepie talks about how some viewers have subscribed to him for specific types of videos—like say, horror content. Recently, however, Pewdiepie’s been making a wider variety of videos, which has proven jarring for many of his viewers. 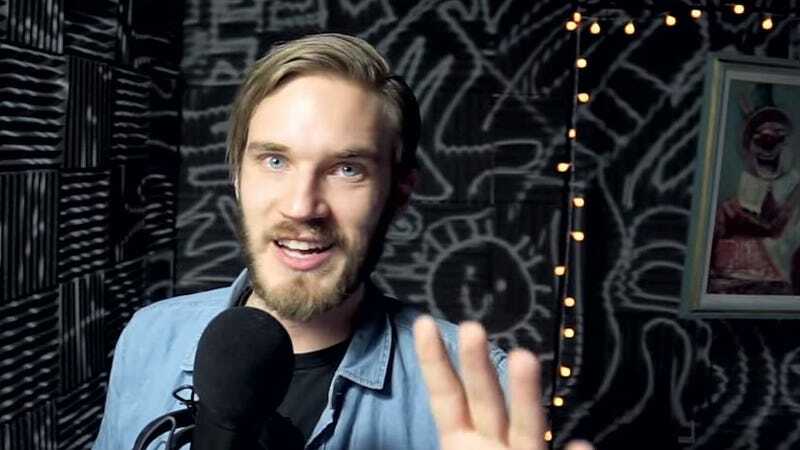 In turn, some of Pewdiepie’s viewership have gotten pushy with their complaints on his YouTube videos, often citing disappointment that he’s not catering to his audience more. “I feel like I’ve always been very honest with myself on YouTube, and very respectful to my audience,” Pewdiepie said. “But I don’t think I’m getting the same treatment back from you guys.” Hence the video on bad YouTube comments he’s been getting lately. But it goes deeper than just some awful YouTube comments. Pewdiepie seems to be in a transitional period, and some of his audience is having trouble adapting to it. In the past, Pewdiepie says he’s felt pressure to make certain types of videos to keep people happy. Things were simpler that way. But lately? He’s had enough of it. “Life is too short to be doing something you don’t really wanna do,” Pewdiepie said. “I don’t really see the point in me making a bunch of videos that I don’t really care about. I think lately you can tell that I’m really having fun while making videos, and that’s how I want to keep it.